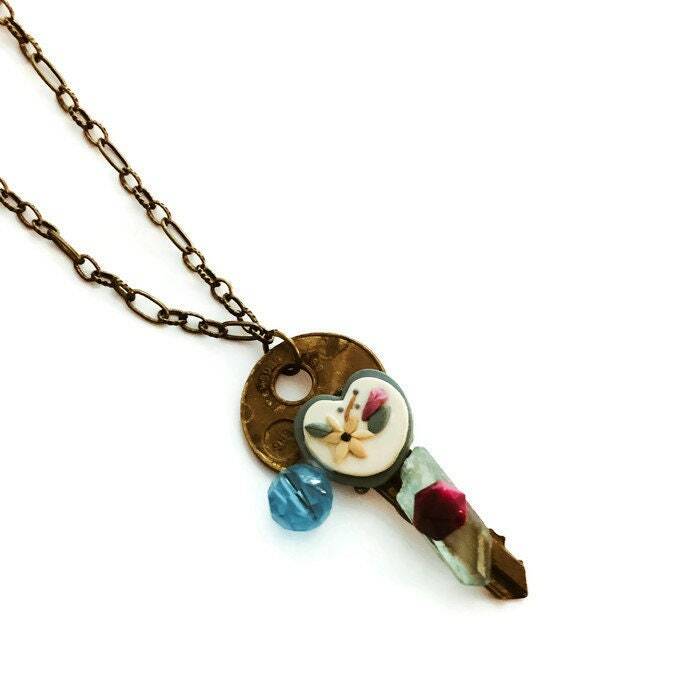 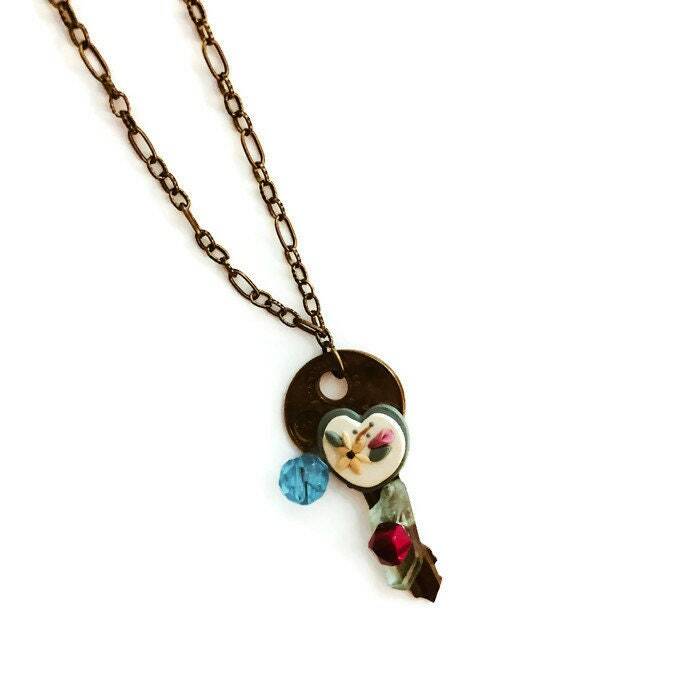 An authentic house key serves as the base for this multifaceted pendant necklace. 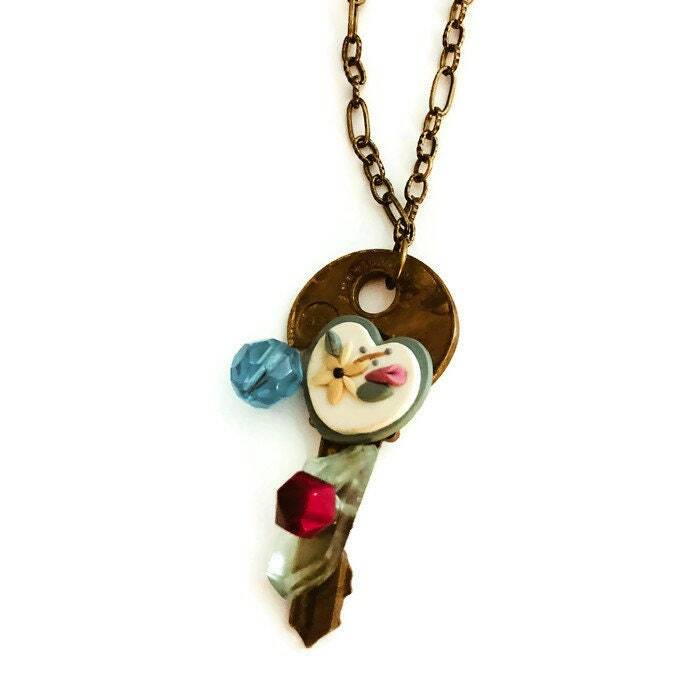 The resin heart speaks of spring and made from found objects — a hairpin from 1980s. 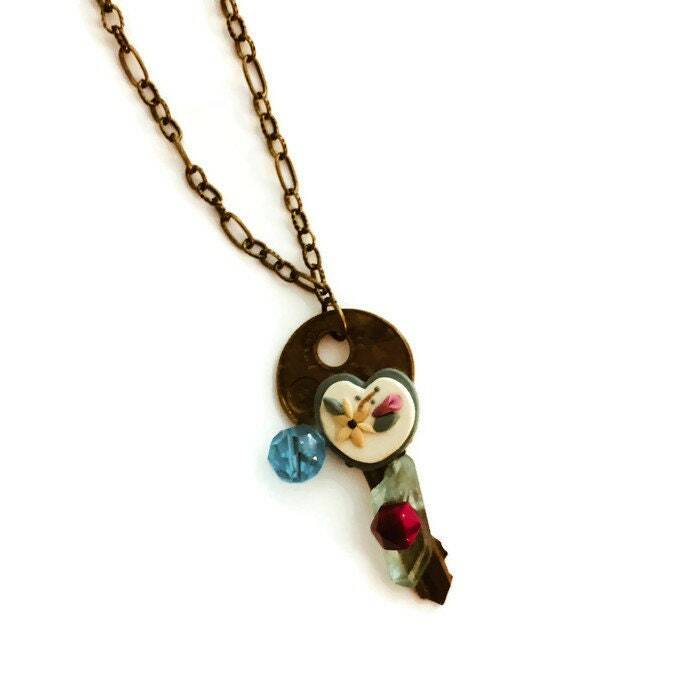 Added are vintage embellishments.